Cabinet gave the go-ahead at the end of October for government to negotiate a development agreement for Norman Island with Dr. Henry Jarecki, the island’s owner, according to a report summarising Cabinet proceedings. Dr. Jarecki told the Beacon in May that he planned to develop the infrastructure necessary to support 75 to 100 lots on the renowned tourist spot, which is long rumoured to have been the inspiration for Robert Louis Stevenson’s classic novel Treasure Island. He envisions the project lasting five to 10 years and costing hundreds of millions of dollars — requiring a finance banker to pool investments from hundreds of people. It could also dramatically change the nature of the island, with the potential installation of four or five miniature marinas, each capable of docking 15 to 25 boats, as well as a “welcome centre” on one of the points of The Bight, according to the New York investor. 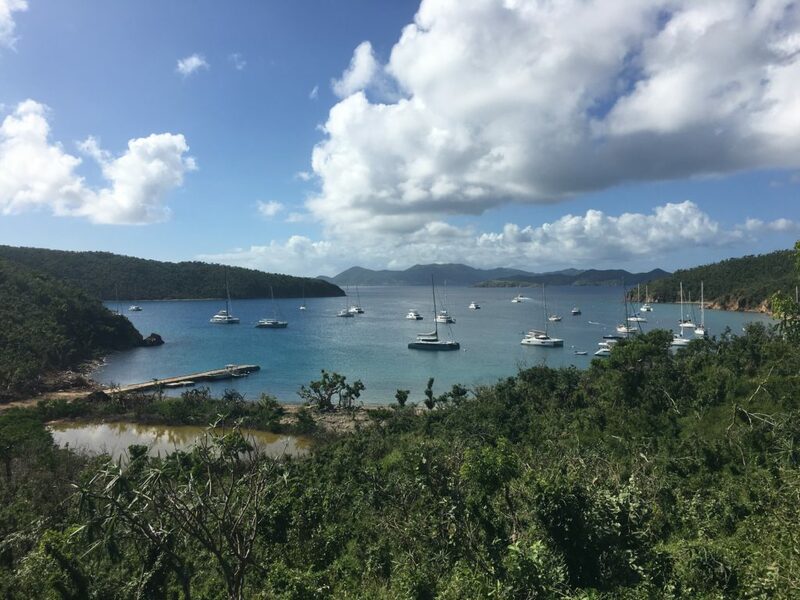 Last week, Dr. Jarecki — who also owns Guana Island — told the Beacon that he planned to visit the Virgin Islands this week and discuss the matter with Premier Dr. Orlando Smith (R-at large). The Cabinet summary, which was published on Nov. 14, noted that government will negotiate the development agreement with Audubon Holdings Limited, a VI-based real estate holding and development company. Dr. Jarecki chairs the board of the Falconwood Corporation, an investment banking company that manages investments in Audubon and other entities. The Cabinet paper mentions a draft agreement which “shall be the basis for the negotiations,” though Dr. Jarecki noted he has not seen the draft and hopes to review it soon. Most of the 75-100 lots won’t contain pre-assigned development, Dr. Jarecki explained in May: Instead, individual buyers will construct rental homes or permanent residences. To develop Norman, the investor said he plans to utilise Bullock Mannelly Partners, an Atlanta-based commercial real estate firm. BMP previously developed Baker’s Bay Golf & Ocean Club, a $600 million-plus residential community on Great Guana Cay in The Bahamas. Bakers Bay contains nearly 400 lots; a 184-slip marina; a spa, beach and golf club; and an 18-hole golf course, according to the BMP website. BMP structured the equity venture for the project between a large North American hedge fund and Discovery Land Company, a San Francisco-based golf resort developer, BMP’s website reports. Dr. Jarecki noted that there are no plans for a golf course on Norman and that it isn’t likely his group would employ DLC. The development will probably have an activity-oriented focus on swimming and water sports, he explained. It will also utilise renewable energy and likely will be off limits to cars, instead relying on golf carts — though that could change over the course of the development, he added. A road network has already been installed on Norman, the investor noted. Though the project will probably include establishing a homeowners’ association and some uniform building standards, Dr. Jarecki doesn’t envision a gated community. “I wander around there. I run into people all the time all over the island. I wouldn’t change that,” he said May. Last week, he noted his vision for the project hadn’t changed much from the layout he described six months ago.